For many, theology has a dry and arid connotation. For others, theology is the necessary objective backdrop for understanding the teaching of the Bible as a whole. For Peter van Mastricht (1630-1706), theology was “the doctrine of living for God through Christ” (8). This reminds us that theology is ultimately about knowing the right God, in the right way, for the right reasons. He treated this description as synonymous with “the doctrine according to godliness” mentioned in 1 Timothy 6:3, which provided the primary exegetical basis of his chapter. As noted in a previous post, this was a common definition of theology among Reformed authors, with Mastricht’s addition of moving Christ into the definition explicitly rather than by implication. In fact, the theoretical-practical nature of his definition had the advantage of being implicitly trinitarian in the writings of most Reformed authors. Theology was the doctrine of living well and blessedly. This good and blessed life comes only by living for God, which we can do through Christ alone as the only Mediator between God and men. Yet without the Spirit, we cannot have genuine faith, through which we lay hold of Christ. Mastricht’s definition of theology has the double advantage of helping us understand classic Reformed approaches to theology as well as promoting a devotionally trinitarian way of doing theology. After tracing his development of each part of his definition, I will draw some practical conclusions from it, showing its advantages for the church today. If classifying theology as a science is insufficient to capture the biblical scope of theology, then defining theology as a discourse concerning God is inadequate for reaching the ends of theology. Mastricht argues that this is so because Scripture treats theology as the words of life, living for God, and forming a life in a person that is directed towards God (98). Theology is the doctrine of living for God through Christ. First, he noted, we must understand that theology is doctrine. This does not mean that theology rejects or bypasses the so-called “philosophical habits” of intellect, science, wisdom, prudence, or art (100. I have retranslated “understanding” and “knowledge” here as “intellect” and “science”). 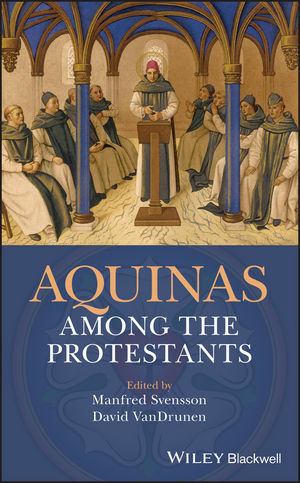 Mastricht concluded, “Theology is not so bound to any of these habits that the rest are excluded, but rather it contains the perfection of them all par excellence, for which reason we prefer the broader term ‘doctrine’ so that all the habits can be included in it” (100). God alone can teach us theology, both by revelation and by illumination. Doctrine includes the content of what we believe and it requires the faith by which we believe it. Second, the object of theology is living for God (101). This is because theology is the only discipline that shapes the whole life, both morally and spiritually. Through the Word of God, the Holy Spirit forms the principle of life in believers as well as “forms all of our actions as a whole” (101). Theology is the noblest discipline, with life as its object, which is the noblest object of all. God is the ultimate end of this life, “(1 Cor. 10:31; Phil. 1:21) without whom all life’s actions will fly off track” (101). This life begins through the new birth and union with Christ through saving faith, which produces all good works in our lives. These works aim at God’s glory and they are according to his commands (102). In this respect, Mastricht reminds us that life in God by grace now differs from life in glory “by degrees” only rather than in essence (1-2). Third, theology is the doctrine of living for God “through Christ.” He noted that is the point at which our theology differs from that of our first parents before the fall. Mastricht argued that theology must be the doctrine of living for God through Christ because sinners can neither live for God nor know God apart from Christ as Mediator (102. Citing Gal. 2:20; Jn. 15:5; Eph. 1:6). We can be pleasing to God only in Christ, with whom the Father is well pleased. This is where the Spirit came explicitly into Mastricht’s treatment of true theology. Christ procured the Spirit by his merit and the Spirit, in turn, makes us alive and leads us to God. Christ communicates to us strength for living for God by his Word and Spirit (103). This means that the life that the Spirit works in us is literally forming the life of Christ in us: “he himself lives in us (Gal. 2:20) and takes possession of all our faculties in such a way that in all things, at all times, and everywhere, Christ’s humility, obedience, holiness, and righteousness flourish and shine forth, and that Christ’s life, in all these ways, is made manifest in us (2 Cor. 4:11)” (103). This shows that Mastricht’s definition of theology is a shorthand way of pushing dependence on all three persons of the Trinity in the study of theology and, for that matter, every area of life. Defining theology as the doctrine of living for God through Christ has several advantages. First, this definition of theology balances revealed truth with experienced truth. It shows us that the purpose of theology is not knowing about God, but actually knowing God. This involves both understanding doctrine and experiencing its power, which Scripture clearly has in view as its primary aim. Second, this definition recognizes that conformity to God is the primary end of knowing God. It is not merely right doctrine, or even justification, that is the end of theological studies, but sanctification and glorification. Third, this definition of theology is trinitarian rather than generic. This makes theology distinctively and unambiguously Christian. The church today needs to recover a balance between all of these elements. In this case, older approaches to theology may end up resetting contemporary theology by steering it back in the right direction. Scripture is about knowing the right God, in the right way, for the right reasons. Mastricht helps us remeber this as we develop a system of sound doctrine. Ryan McGraw (@RyanMMcGraw1) is Morton H. Smith Professor of Systematic Theology at Greenville Presbyterian Theological Seminary in Greenville, South Carolina. John 17 sits alongside the other great chapters of the Bible such as Romans 8 and Psalm 23. Many people have sung its praises, including the puritans. Stephen Charnock wrote, “If any part of Scripture be magnified above another, this (John 17) seems to claim the pre-eminence.” A.W. Pink said that when John Knox was on his deathbed, he had this chapter read to him every day, and that Knox testified that it gave him great comfort and strength. John 17 is a special chapter indeed. Of all the verses in this great chapter, verse 24 rises to the top. Thomas Manton wrote, “Every verse is sweet, but this should not be read without some ravishment and leaping of heart.” He also noted that another person has said that he wouldn’t want this verse left out of the Bible for all the world. What makes this verse so special? I will attempt to answer that question in this article and in the next one. Jesus prays, “I desire…(ESV)” or in the words of the KJV, “I will…” Some puritans argued that Jesus is not asking for something, but declaring what he will do. Manton isn’t completely convinced of this view and acknowledges that the word might “bear a softer sense” in this verse because the same word is used to convey a desire or request in other passages (Mark 6:26; 12:38). On this understanding “it doth not express [Jesus’] authority so much as the full bent of his heart.” This is the proper interpretation. Jesus is sharing his heart’s desire with his Father in prayer. He is asking the Father to give him what he wants or desires. And what does Jesus want? Us. Verse 24 says that Jesus wants us, the people the Father has given to him, to be where he is. Jesus desires us. I recently discovered a book on how not to lose your faith in seminary. As I read the book description, I simultaneously understood the reality of the temptation that the authors aimed at and I was thankful that the institution in which I teach self-consciously militates against such tendencies. It is possible to study theology and learn about the God of Scripture while growing distant from him while doing so, and even by doing so. The purpose of theology is the true knowledge of the true God. The good of our neighbors is one of its primary results. If we lose sight of this purpose, then studying Greek and Hebrew, church history, systematic theology, preaching, and other subjects related to the ministry can become abstract ways of holding the triune God at a distance rather than Spirit blessed means of knowing him more fully. How we define theology plays a large role in determining how we pursue the study of theology. While post-Enlightenment Reformed theology tended to define theology as a discourse concerning God and systematic theology as the science of God, classic Reformed authors generally defined theology as the doctrine of living to God and the system of doctrine as spiritual wisdom. Following in the train of Peter Ramus, William Perkins, William Ames, and many others, Peter van Mastricht defined theology as “the doctrine of living for God through Christ.” This had enormous implications for how he approached the task of theology. It potentially has equally enormous implications for how we pursue theology and whether or not the academic pursuit of theology draws us near to the triune God or drives us far from him. After noting how Mastricht defined theology, the bulk of this post will focus on how his theoretical and practical definition of theology shaped the academic pursuit of theology and what we can learn from this model today. A subsequent post will examine his definition of theology in more detail. How we define theology has vital implications for how we study and teach theology. If our definition of theology is merely scientific and dry, then our pursuit and propagation of theology will likely be scientific and dry. Conversely, if our definition of theology includes the true knowledge of the true God, then even when we study academic and even dry theological works, then we knowing the right God in the right way will never be far away. As noted above, Mastricht defined theology as “the doctrine of living for God through Christ” (64). He noted that theology must be both theoretical and practical. He argued this point primarily from 1 Timothy 6:2-3, which indicates that God’s truth accords with godliness (66). Herman Bavinck would later echo Mastricht, who wrote, “Just as practice without theory is nothing, so theory without practice is empty and vain” (70). Theology is doctrine in that it involves teaching. However, it is the doctrine of living to God because this is the goal and meaning of life for human beings. These assertions reflect the idea that the Bible never speaks about the knowledge of God in abstraction. Eternal life is knowing the only true God and Jesus Christ whom he sent (Jn. 17:3). There is one God and one Mediator between God and man, the man Christ Jesus (1 Tim. 2:5). Without faith in Christ, it is impossible to know the right God in the right way. For that matter, without the Holy Spirit, it is impossible to confess that Jesus Christ is Lord (1 Cor. 12:3). If theology has any biblical meaning, then it must involve coming to the Father, through the Son, by the Spirit (Eph. 2:18). While these are my texts rather than Mastricht’s, they illustrate the value of his definition of theology. If theology is the doctrine of living for God through Christ, then should we not study theology, whether in church, in the seminary, or at home, aiming to live to the Triune God through what he teaches us about himself in his Word? Second, students must have a teachable, hard working, and pious character in order to study theology. John Owen, whose prolegomena Mastricht earlier cited (74), went so far as to say that students who had correct theological opinions yet were not born of the Spirit and united to Christ were Christian philosophers rather than true theologians. Third, theological students must aim in their studies at the glory of God, the good of the church, and their own salvation. Fourth, an “introductory curriculum” should include philology (Greek, Hebrew, Aramaic, and Latin), philosophy (logic, physics, metaphysics, mathematics, and “practical philosophy”), and history (including geography and chronology). Fifth, biblical studies follow, which should included theoretical and practical conclusions drawn from Scripture. Sixth, dogmatic or positive theology comes next, which introduces catechetical teaching and the system of theology taught in Scripture. Seventh, elenctic or polemical theology follows, by which we learn to refute errors. Eighth, practical theology flows out of the preceding, which includes moral, ascetic, casuistic, and political (church government) theology. Ninth, “antiquarian theology,” or the study of ecclesiastical history is helpful. Tenth, the process of continual hearing, reading, meditation, prayer, and disputation solidify and develop our skills as theologians. Can students lose their faith while studying theology in theological seminaries? Can they transform reflections on the majesty of God for the purpose of serving the church, using every tool at their disposal to do so, into parsing words and memorizing vocabulary in order to pass tests? Of course they (we) can. Yet defining theology as the theoretical-practical doctrine of living to God through Christ makes it wholly our fault when this happens. Like studying theology in any context, the purpose of the academic study of theology is to know God and to make him known. Is it possible that defining theology in this theoretical-practical way might transform theological education today? It would at least remind both teachers and students of who they are and why they are doing what they are doing. Congratulations to the two winners of Petrus Van Mastricht's Theoretical-Practical Theology Vol. 1: Michael M. from Spartanburg, South Carolina and Angela M. from Lakeside, California! Enjoy Petrus Van Mastricht's Prolegomena! A big thank you to you both and all social media followers for reading Meet the Puritans! Article 35 on the subject of "the Homilies" is unique among the reformed churches of Europe. We who live with the reprints of many seventeenth and eighteenth-century sermons preached by reformed pastors, it does not seem strange that doctrines should be set out in a sermon series. But there was no precedent for it at the time from either Protestant or Roman Catholic churches. Anglicans were the first (you're welcome!). 1. Of the right Use of the Church. 2. Against peril of Idolatry. 4. Of good Works: first of Fasting. 5. Against Gluttony and Drunkenness. 6. Against Excess of Apparel. 7. Of Prayer. 12. Of the Nativity of Christ. 13. Of the Passion of Christ. Article 35 is a 1571 update of Cranmer’s 1553 original that reflects the changes of the time. There was now a second series of Homilies to extend the teaching of the first series which was originally published in 1547. The first series (or book) of Homilies as a gospel instrument were a stroke of genius by Thomas Cranmer who as a man from the Midlands understood that there were both advantages and disadvantages in a country where one city, London, was both the financial and administrative capital with the two universities about nine hours ride or two days ride away from London. All the nation’s wealth and learning were loaded into the southeast of the country leaving a variegated religious landscape for most of England with the northern border still a disputed buffer zone with Scotland. It was faster to sail to the Continent than to go overland to Cranmer's hometown in Nottinghamshire. There were pockets of Reformation but gathered at market towns and ports with more access to Europe. But there were large regions languishing in a spiritual and social vacuum in the wake of the dissolution of the religious houses that provided most of what we might call today the social services and education. The new Tudor landlords that had assumed authority for a region of former monasteries may or may not be concerned with the souls of their people. There were new bishops and reorganized dioceses. In short, it was a pastoral challenge that would take more than 75 years to stabilize. One could even suggest it has never really been resolved. Cranmer had seen first-hand when living on the Continent the effectiveness of preaching from the pure Word of God and was convinced of its power. But in the shires of England, most of the clergy were local men who were literate but with no training in preaching. They did not have ready resources in books they owned or in the squire’s personal library. The many pastoral duties across a geographical area on a scale which would make a modern minister falter, also left them little time for preparation. Cranmer had experienced the same challenge on a smaller scale in the diocese of Canterbury during the reign of Henry VIII. His first experiment in a homiletical series was tested then. His solution was simple: give the minister a series of pre-written sermons to regularize the proclamation of the gospel and its application in the life of the Christian. Some of the sermons (or homilies as they were called at that time) were longer but could be divided up into sections for a sermon series. Ministers upon consultation with their local diocesan bishop, would either preach in conformance with the homilies or read them to their congregations. The homilies were meant to work alongside the various conventicles or “sermon workshops” we might say today. 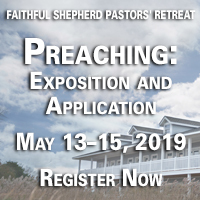 Conventicles were called within groups of parishes (deaneries) where local clergy would gather to preach and discuss their sermons under the mentoring of a more learned pastor authorized by their bishop to oversee their training. Although the conventicles became a political football with the Crown, the workshops were never completely eradicated. Bishops or local supporting gentry with a concern for the gospel would quietly support their work, particularly in areas where London was a very long way away. One need only point to the theologically rich sermons produced just a generation later as evidence and the hunger for good preaching in the shires that led to the establishment of a new locally funded institution of the lecturer. The lectureships were dedicated to preaching outside the established Sunday pattern. 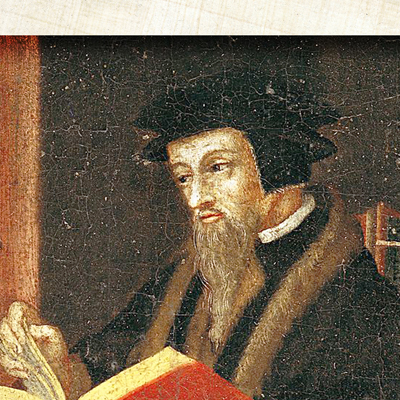 The first book of Homilies was written by a number of reformed churchmen, some are known to us. They can be divided into six doctrinal sermons and six sermons on the application of the doctrine in the life of the Christian. According to Gerald Bray's, A Fruitful Exhortation, we know who wrote all six of the doctrinal homilies, but only one of the application sermons (p. 5). The rest are anonymous. Cranmer probably wrote the sermon on Scripture and the trilogy on salvation (The Nature of Salvation, Faith, and the Relation between Faith and Good Works). The second book is much longer, about three times the length of the first edited by John Jewel. When first organized in 1563 there were twenty sermons, divided again into parts to form a series. Another was added in 1571 and in later editions two of the earlier sermons were divided, making one on Christ’s Passion for Good Friday and another on Rogation. Two of the sermons are adaptations of other reformed theologians. Idolatry is an adaptation of a Heinrich Bullinger work from 1539 with Gluttony and Drunkenness an adaptation of Peter Martyr Vermigli’s from 1571. The Homilies were thought of as two separate books, not being printed together until 1623. There is an entire cycle in the second book that covers the gospel days of the Christian year in Christmas, Easter, Ascension, and Pentecost, teaching a congregation their meaning and significance to the believer. It is important to remember that the Homilies precede that of the Articles (which is why article 11 on justification references Cranmer’s homily on salvation by a different name) in their composition. They were written by reformed men like Cranmer, Edmund Grindal, and John Jewel or edited by them to express our common reformed heritage that they also brought to the Book of Common Prayer and the Ordinal. A wise Anglican will read the homilies, the articles, and the other formularies as a unit where points of explanation and summary are joined to the application. Although we have new resources for the homilies in Gerald Brays’ popular A Fruitful Exhortation and Critical Edition, we are still waiting for a modernization of the text for use in small groups and adult Sunday School classes. Perhaps a patron and publisher will gather the necessary expertise to give us one. There are many idiosyncratic modernizations of the 1662 Book of Common Prayer, for example, but what is sorely needed are quality modernizations of the formularies to the highest standard much along the lines of the work done by a translation committee that gave us the English Standard Version. With the modernization in place, a long-forgotten resource would find new use and value in an era where Christ-Centered preaching is little known among North American Anglicans. For previous articles in this series, see here.